Here at MakeProto we realize the value not only of good tools, but more importantly, the right tools. I began designing and creating hardware with all the wrong tools. Although I had some success, I had a lot of failures, simply because I didn’t have the right tools. 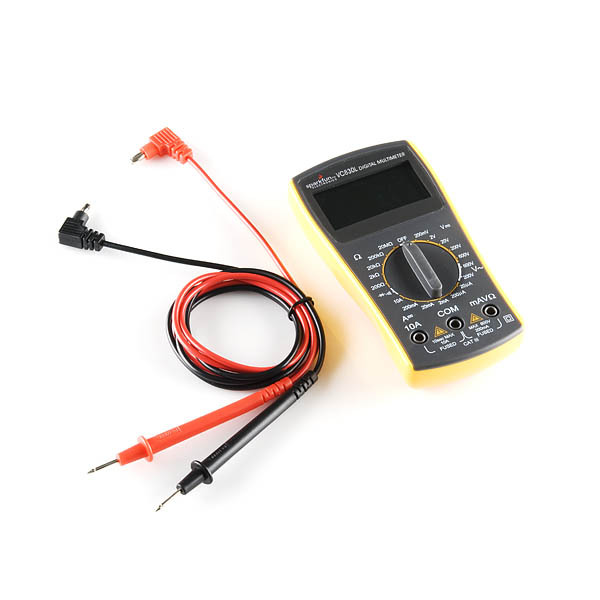 As I progressed in electronics a seasoned electrical engineer took me under his wing and taught me a lot about how to use tools the right way, but that still didn’t really help me build my own set of tools. Although any engineer will tell you that your own specific set of tools is a personal decision based on your style and needs, there are some basic tools that every young (or old) hardware hacker should have close at hand. 1. A design notebook with a pencil that you like. Yes, that’s right, a design notebook and a pencil are the number 1 most important tools that you can invest in. I personally use a moleskin square notebook, but it really doesn’t matter as long as it’s a sturdy notebook that you can keep track of. Like most engineers, I like the grid notebooks and a mechanical pencil, but it’s really just whatever fits your budget and style. Make Magazine (no affiliation) has produced a really nice maker’s notebook with some stickers and charts that can be helpful when designing, but an expensive notebook is by no means necessary. What is necessary is that you keep every single design idea that’s worth writing down. My notebook is full of pictures with pop-out diagrams. Again, the way you document your ideas doesn’t matter, but documenting them does. Just recently I was going through my design notebook from a few years ago and found something that I didn’t have the materials or skills to build at that time sketched out. Now I do have the skills and the materials, so I built it in a single afternoon. The design, as I recall, took a few fun days, and it was well worth the investment. 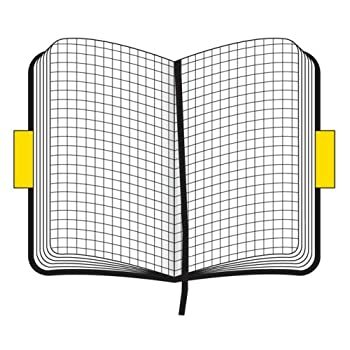 Keep a project notebook for every single project you start, or alternatively, just a notebook where you keep all the schematics and notes from your projects. Good notes can and will save a project from doom. I tend to use yellow legal pads because I have a drawer full of yellow legal pads. Most of us start by taking apart other people’s stuff and analyzing it. That’s great, but often the only way to trace a circuit you didn’t design is with a meter. You don’t have to invest in a great meter, but make sure that it can handle AC/DC and comes with leads. Although I use a fancy multimeter at work, I still use a very basic no-name meter at home. This one from Sparkfun is a basic model that should do the trick. Unlike the earlier items on this list, I do recommend that you get a good soldering iron. By a “good” soldering iron I mean a variable temperature soldering iron with an iron holder/sponge tray, and tips that can be acquired with ease. Again, I use a rather expensive digital Weller and a Hakko iron at work, but these are not necessary. Sparkfun electronics sells several budget models that are basically knock-offs of these famous irons and the one I use at home has served me for years without a problem. Learning how to solder correctly is far more important than buying a good iron. Lady Ada (Adafruit) has a really good tutorial for learning to solder: use it. 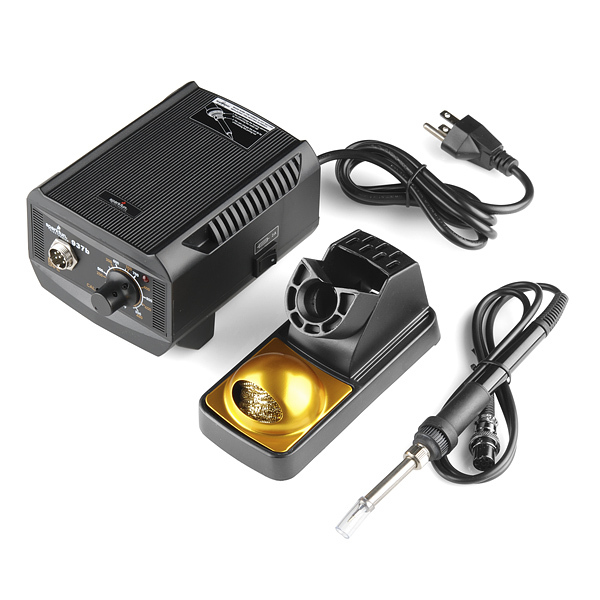 Now that you’ve got an iron, you’ll need a few things to begin soldering. Learn to desolder. Invest in solder wick or a solder sucker (or heck, both) and learn to use them. This guy will teach you how to use solder wick. After you’ve got desoldering materials, get some solder. For beginners I recommend leaded solder. If you’re shopping at radio-shack, buy the small diameter solder, it will save you some headaches. 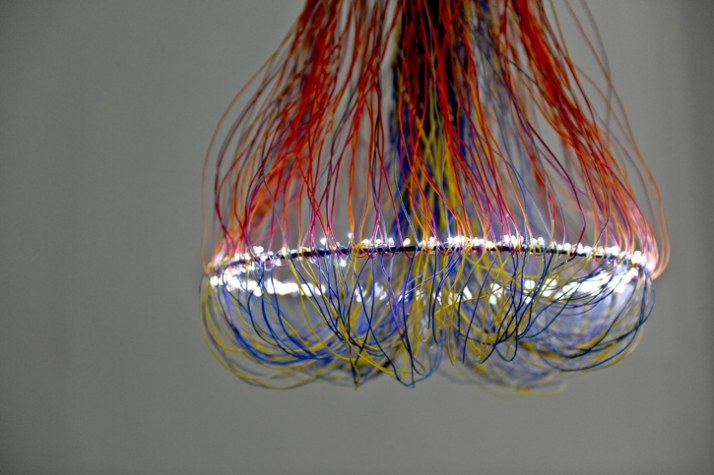 Finally, get some rainbow wire for small electronics projects. Rainbow Hookup Wire (Not available at Radioshack to my knowledge). Get yourself some good hand tools. You’ll want clean, small-blade screwdrivers, wire cutters, wire strippers, and needle-nose pliers at a minimum. Don’t use the oily ones your dad has lying around, go ahead and invest in some good ones of your own. 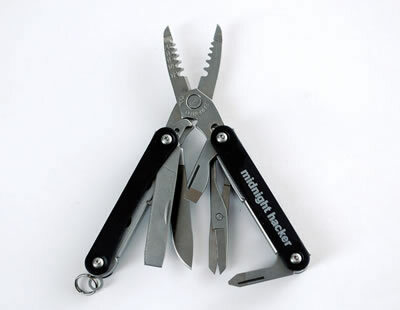 There is a small Leatherman multitool, which incidentally you can get through Adafruit, that has all of these tools on it. I have completed entire projects with just the tools available on the Squirt ES4 and a good iron. This again may just be my personal preference, but my life is enriched by my small LED flashlight. That’s a list of the physical tools that you’ll need to begin physically manipulating projects and making new stuff, but tools are an essential part of making protos and we’ll be talking about tools of making protos from different angles later. I certainly hope this helps some new hackers out there and if you have anything to add, please share a comment. Note: We’ll be covering the Arduino soon.